While getting either a voluntary or involuntary on your credit report is bad. I will try to explain some of the differences that may or may not affect you later on when trying to make a purchase of anything in regards to credit. Is when you decide to not give the car back to the bank, you effectively ignore the lien holders requests to return the car. You hide the car or whatever collateral it might be. You force the lien holder to pay extra for skip tracing work and simply do not give up the car under any circumstances until further legal action is threatened or the car is found and repossessed against your will. Most repossessions are involuntary in my opinion, I am not sure not about actual statistics between the two, but I can say that hundreds of times a repossession was supposed to be voluntary and it became evident it was a lie and the car was involuntary. People need their car to get to work, they just don’t want to give up a car, it is tough to get another one, especially after a repossession. I should rephrase that, maybe not to tough but unreasonable interest rates and terms that normally lead to another repossession. An Involuntary repossession will go on your credit as an involuntary repo and in the future when another finance company or bank looks into your credit they will see that you hid the vehicle and refused to give it up. The credit rating will essentially be the same, but the actual lender may have a different idea, knowing that you are not the type to give back what you do not pay for. A voluntary repossession is either you calling a bank and letting them know you lost your job, or for whatever reason you can no longer pay for the car. You advise them to come and pick it up, or they tell you they need to repossess it and you agree to a time and place for the repoman to pick it up. This is voluntary and sometimes you might be surprised that a bank may actually work with you by lowering payments or extending the loan, doing things to maybe help you keep the car. This will go on your credit report as a repossession still, but it will certainly look better when getting evaluated for another car purchase in the future. It will give you the same credit point reductions and take the full 7 years to go off the report. As stated above so many times a person wants to sound nice to the bank representative and say they will give up the car but quickly have second thoughts and will not show up. other times certain banks might assume it is voluntary and write up the repossession as a voluntary. Why do banks do this? 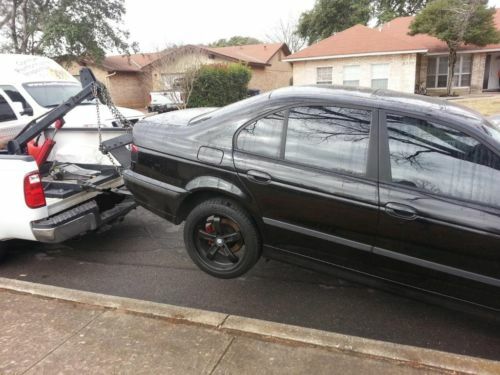 A voluntary is usually much cheaper then a typical involuntary repossession, it is like a regular tow job. So a voluntary may only be $150 as opposed to the $350.00–500 fee a regular repossession will run. Be aware of your bank trying to skip out on paying the full repossession fee by saying it is voluntary. Another reason some people do voluntary repossessions is in trade for certain things. Sometimes a bank will make a promise for something in return.